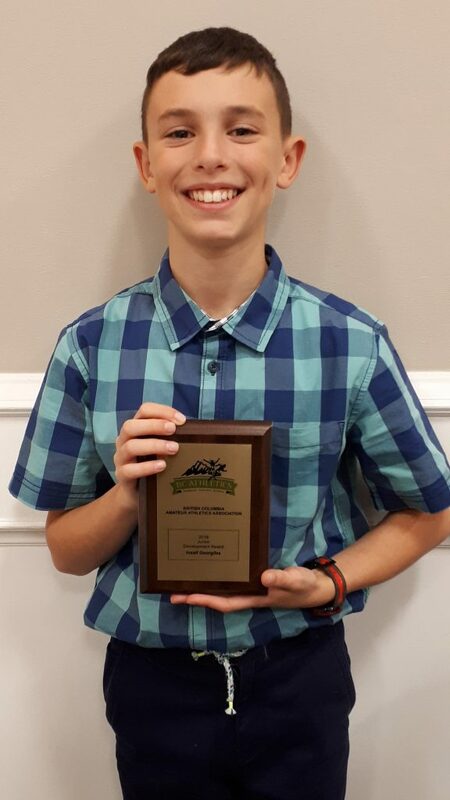 Congratulations to our own Joe Georgilas who attended this year’s Junior Development Awards Banquet in October. Joe had an outstanding year and managed to meet standards for both the 60m Dash (8.67s) and the Long Jump (4.59m). This is no easy feat, and as a result, received the BC Athlethics JD Award for his performance. Well done, Joe! Looking forward to seeing you continue your success in 2019!